Make trees out of construction paper. Add numbers to the trees. 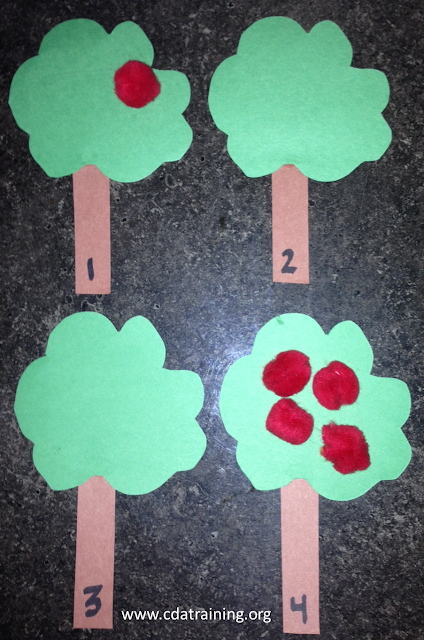 Encourage the children to add the correct number of "apples" to the trees.